Louis Jacinto began photographing in Los Angeles in 1975 and is noted for his iconic images of the Punk Rock music scene in Los Angeles from the late 1970’s. While several books from that seminal period in American music have since appeared, Jacinto’s images captured highly influential, yet overlooked musicians including Nervous Gender, The Know, The Go-Go’s with original member Margot Olavarria, and The Bags, among others. Both Jacinto and the East Los Angeles art collective, ASCO crossed artistic paths throughout the 1970’s and 80’s, most notably in Jacinto’s series of photographs documenting an art exhibit and Punk Rock music show, “GRONKPATSSIPARTY”, curated by ASCO artists Patssi Valdez and Gronk on October 31, 1978. Three images from that limited edition series were featured in the ASCO Retrospective which opened in 2011 as part of the regional Pacific Standard Time: Art In Los Angeles 1945 – 1980. In 2015 an exhibition of Jacinto’s Punk Rock photographs included for the first time, images from “GRONK/HERRON: ILLEGAL LANDSCAPES”. These rare photographs from 1980 capture the artwork by ASCO co-founders Gronk and Willie Herron III at the Exploratorium Gallery on the campus of California State University Los Angeles. Of historic note is a performance by Herron’s punk band Los Illegals with the original line-up. In 1981 and 1982 Jacinto was the official photographer for the Sunset Junction Street Fair in Los Angeles. His images captured a neighborhood coming together – gang involved youth and the gay and lesbian community – and working side by side for the betterment of all Los Angeles. 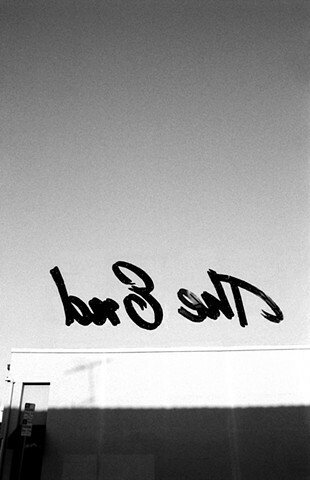 In 1984 Jacinto began a series of photographs of the word “Los Angeles” as it appears in the environment. One image from this series was given an award at the Los Angeles Municipal Art Gallery in 1989. Throughout the 1980s and early 1990s Jacinto participated in the art collective LA ART. Since 2006 Jacinto has published several books of his photographs including PUNKROCK LOSANGELES, Edge of the World: Self-Portraits 1976 – 2007, GRONKPATSSIPARTY, The Bags, Hope Fading, The Beatles In Los Angeles, The Umbrellas Project, Patti Smith ‘78 and Angela - a series of photographs taken of Angela Davis in 1978. Since 1980 Jacinto has exhibited throughout the greater Los Angeles area as well as at the American University Museum, Washington, D.C.; El Museo de las Artes, Guadalajara, Mexico; Los Angeles Municipal Art Gallery; Claremont Museum of Art, Claremont, California; Los Angeles County Museum of Art; Williams College Museum of Art, Williamstown, Massachusetts; Vincent Price Art Museum, Los Angeles, California; University Museum of Contemporary Art, Mexico City. In 2011 Jacinto launched onodream MAGAZINE. Each issue features one artist speaking in depth about their work. onodream MAGAZINE. One Artist. One Conversation. Jacinto continues to exhibit both his historic images as well as his current work.